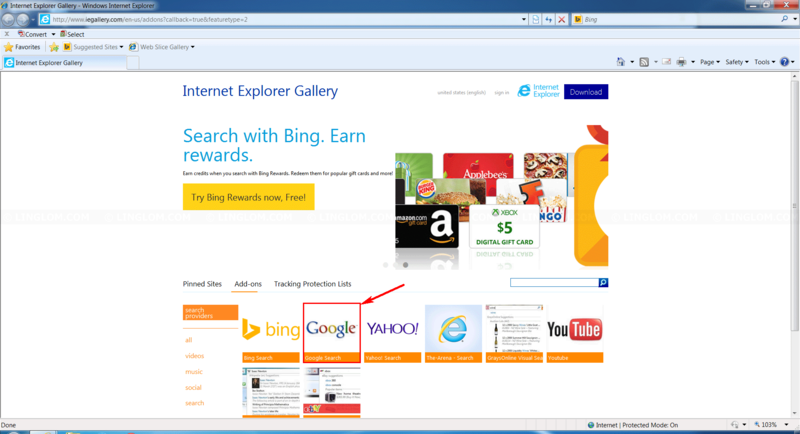 If you open Internet Explorer and the default home page and search provider are changed to some address you aren’t familiar, it is likely that you have adware installed on your computer and it made changes to your system. 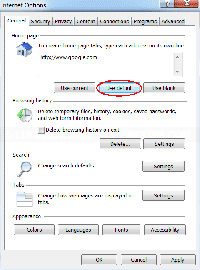 When you uninstall the adware, the settings on your browser are not reverted back to value that it should be. Don’t worry, you can change them back. This article shows step-by-step how to change default home page and search provider to Google.com and how to enable/disable add-ons on Internet Explorer. Open Internet Explorer. Select Tools -> Internet Options. On Internet Options, click Use default under Home page section. 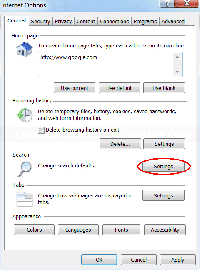 If the address in home page doesn’t changed back to something that you familiar with, for example, go.microsoft.com, msn.com, google.com, you need to modify Windows registry. Otherwise, you can skip to the next section. 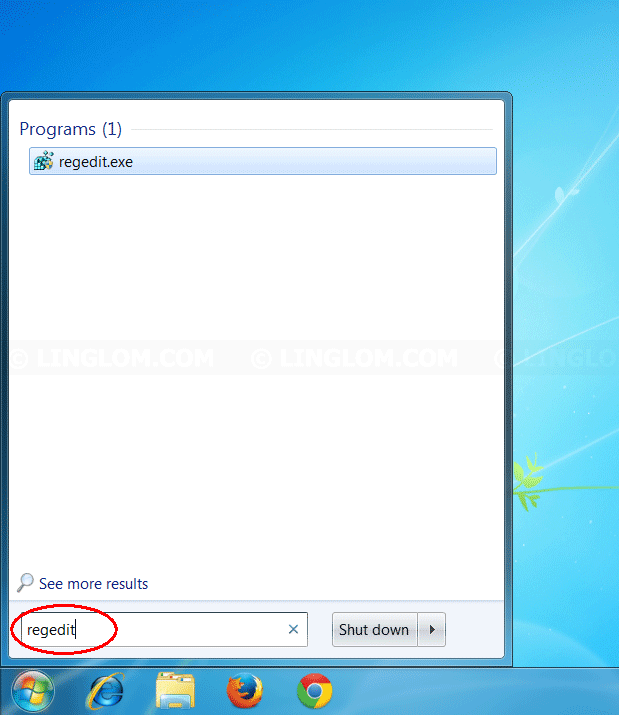 Note: On Windows 8.1, you can open registry by right-click on the Windows icon and select Run. Then, type regedit. 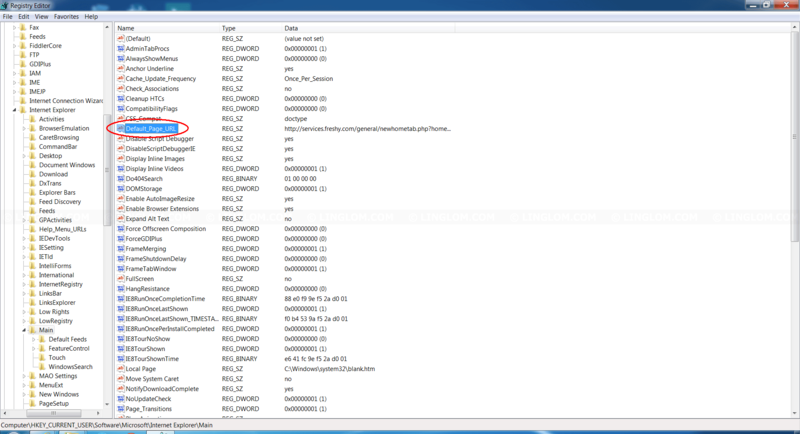 Type regedit in the text box and press Enter. 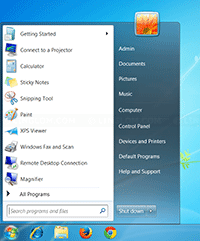 On Registry Editor, expand HKEY_CURRENT_USER\Software\Microsoft\Internet Explorer\Main. 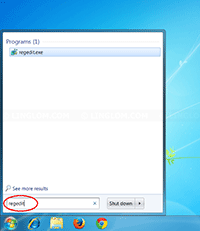 Find name Default_Page_URL and double-click to edit. 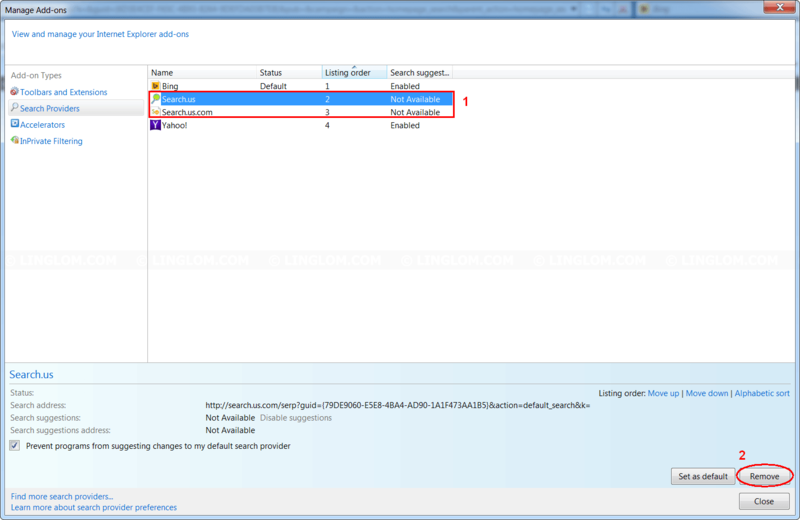 On Edit String, change value to address that you want for default home page. 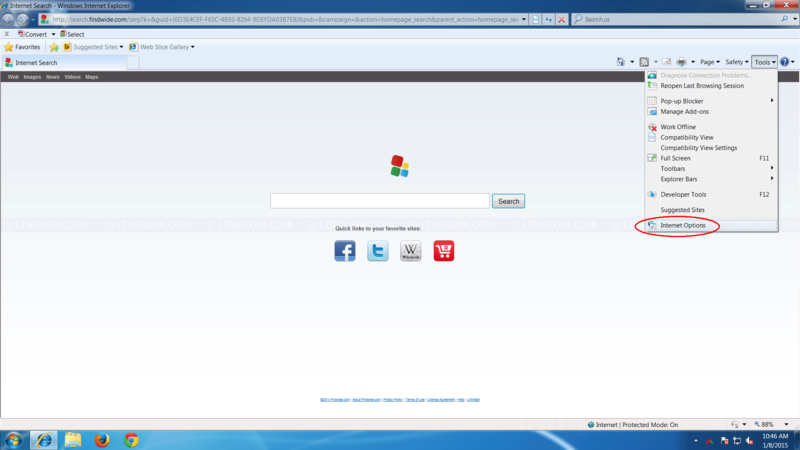 In this example, I changed to http://www.google.com and click OK. Then, close Registry Editor. Restart Internet Explorer and open Internet Options again. When you click Use default under Home page, this time it will changed to the value that you set in the registry. Next, we will change default search provider. On Internet Options, click Settings under Search section. On Search Providers, select search engine that you want and click Set as default. 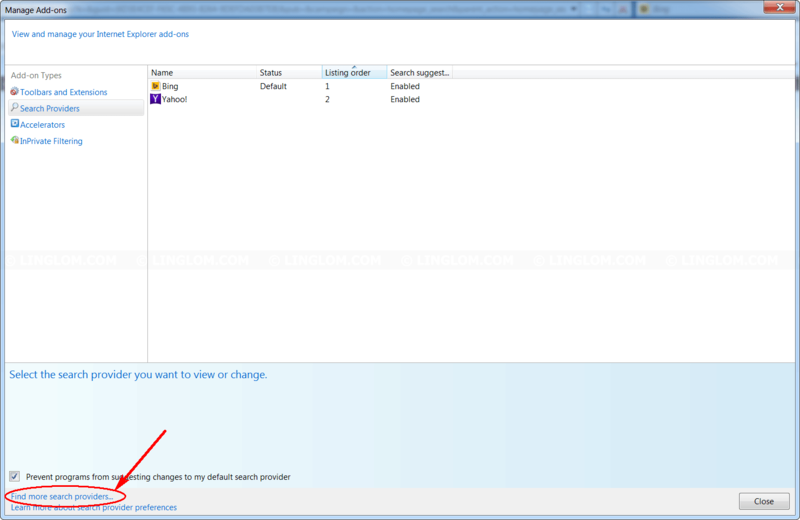 You can delete any search provider by select it and click Remove. If a search provider that you want doesn’t displayed, you can add a new one by click Find more search providers. 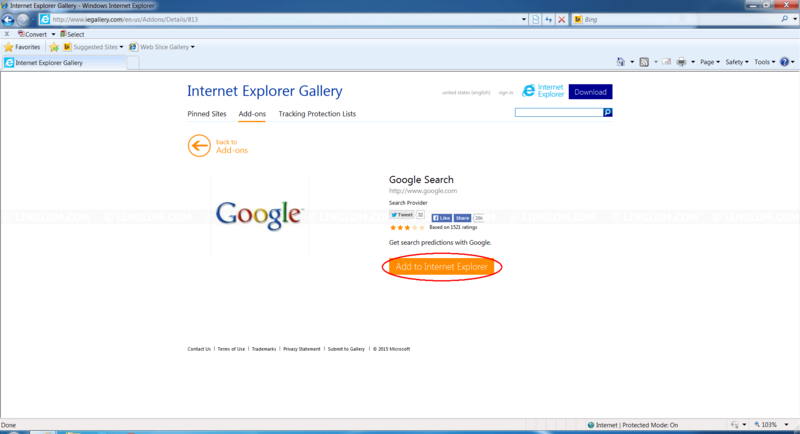 You will be redirect to Internet Explorer Gallery. Select search provider that you want. 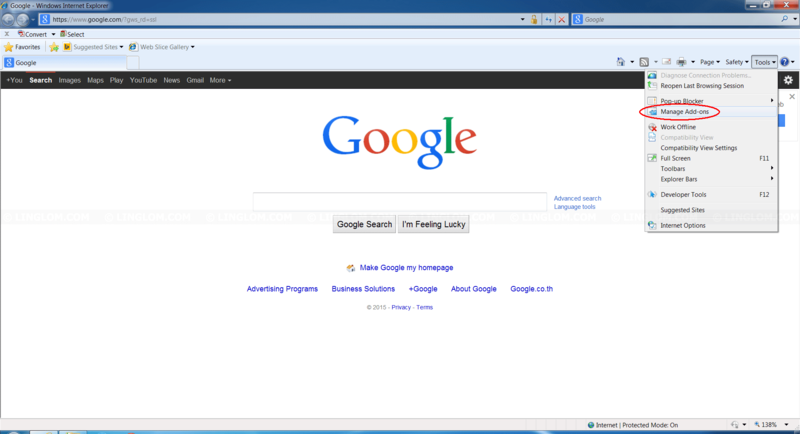 In this example, I select Google Search. 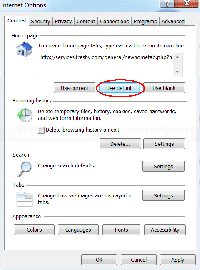 Click Add to Internet Explorer. 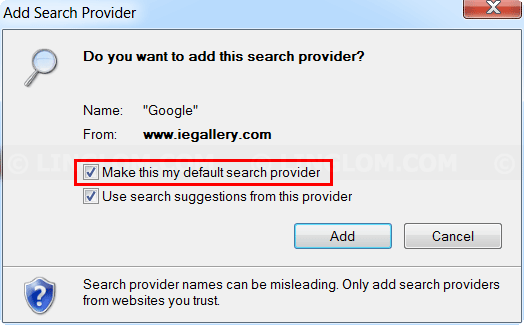 On Add Search Provider, check the box Make this my default search provider and click Add. Now Google will be added as your default search provider. 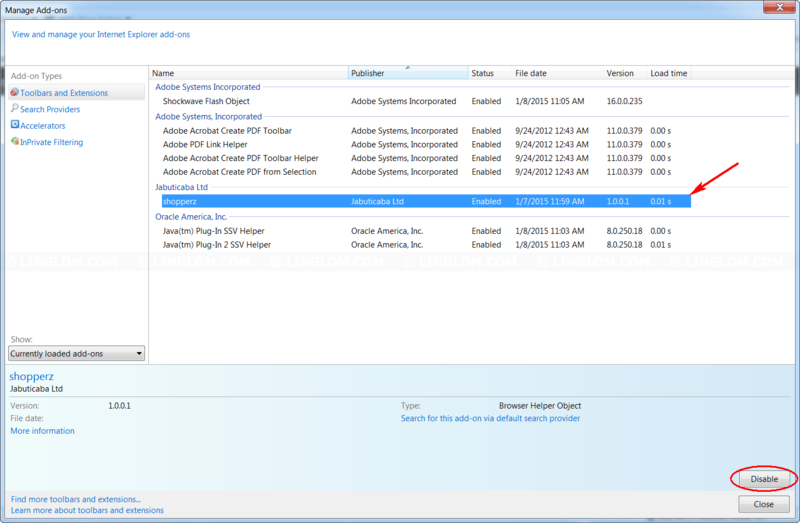 To manage Add-ons, select Tools -> Manage Add-ons. 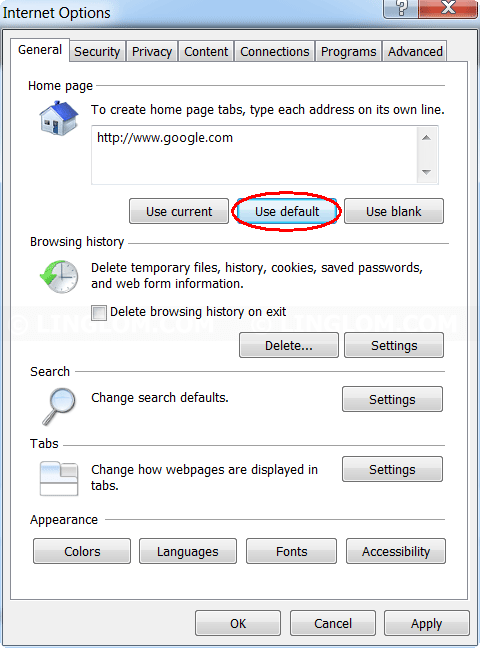 On Toolbars and Extensions, you can enable/disable add-ons on Internet Explorer. 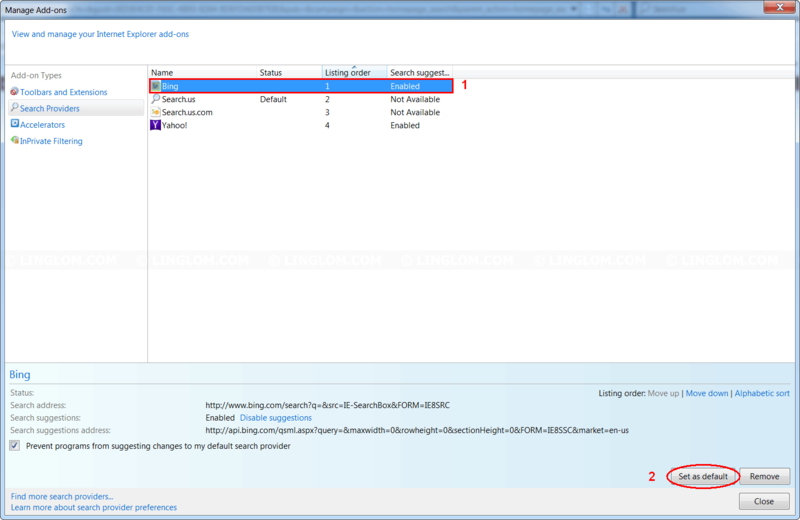 Select the add-on that you want and click Enable/Disable.